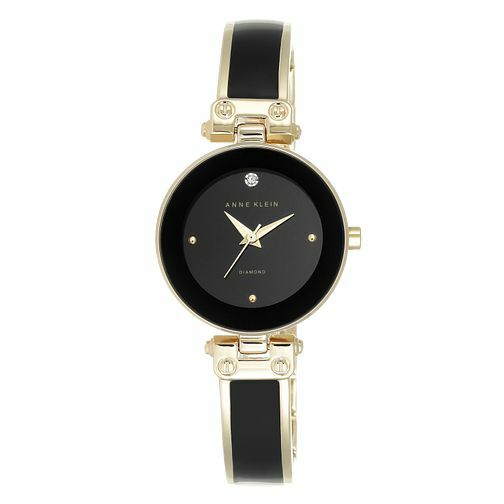 The Anne Klein sleek black and gold-tone diamond dial watch is a truly stunning piece. Extravagant details like a genuine diamond at 12 o'clock and pearling's at 3, 6 and 9 on a glossy black dial add an elegant touch. Finished with a mixed metals bangle bracelet, this stunning watch creates a chic look for every occasion.